Here’s the deal: The modern world may well be making us more distractible, overwhelmed, and restless, but Adult Attention Deficit/Hyperactivity Disorder (ADHD / ADD) is an honest-to-goodness neuro-developmental disorder. And, in order for it to be a disorder, by definition, it has to be ongoing, present in many situations, and impairing. And by “real” we mean, do NOT let your self-assessment be derailed by the skeptics who are less than supportive at best, or downright abusive at worst. We’ve seen so many people with ADHD start to make real progress, then get hit with a flippant remark like, “C’mon, there’s nothing wrong with you. Just try harder!” Then they stop treatment and waste more years in needless suffering. 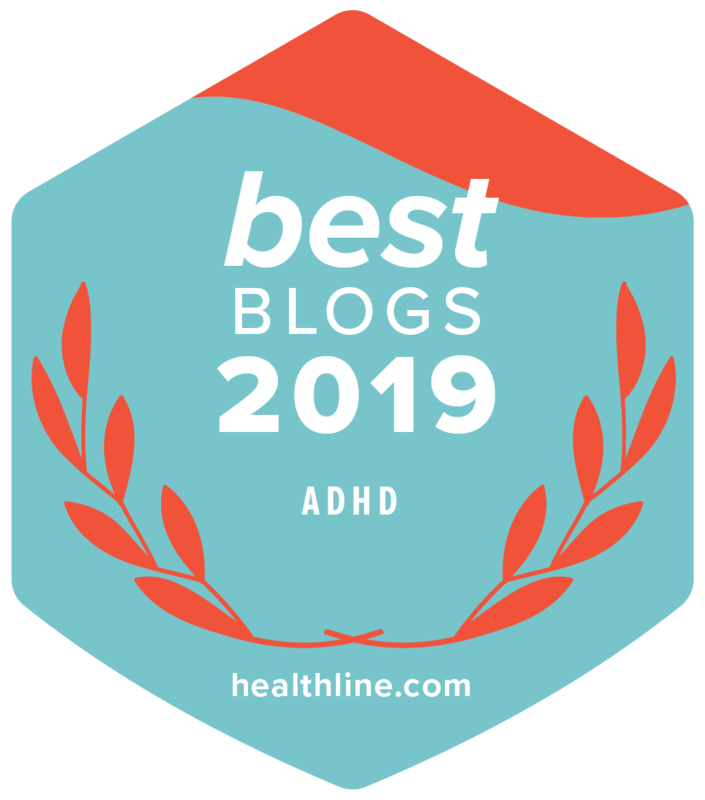 Here’s a much healthier path: Take our Do I Have ADHD? quiz. While it’s not a replacement for a doctor’s diagnosis, it can give you a quick read on whether or not you are showing the signs of having ADHD. You can also watch our Unofficial Test video. It’s a lot of fun AND it actually covers a whole slew of ways ADHD shows up in your life. And, yes, both of these tools have had expert review for accuracy. If it’s like Ding! Ding! Ding!, and alarm bells are ringing, watch a few of the short, free videos on our website. The Unofficial ADHD Test for Adults is a great place to start to tap into that whole “knowledge is power” thing! If the bells keep ringing, keep watching. They won’t all be a match. ADHD varies widely, everyone of us has a unique combo of challenges and strengths. If these assessments leave you thinking, “OMG! You’re describing my life!” check out our documentary ADD & Loving It?! It’s an eye-opener, and there’s many reasons it’s won awards, and changed so many lives. Educate Yourself First – Be Your Own Advocate! When people say, “Doesn’t everyone have ADHD nowadays?” I nod and say, yes. And doesn’t everybody have height? weight? intelligence? The question is, how much? Then I tell them to read Understanding What ADHD Is and Isn’t. At some point impulsivity, restlessness, problems with attention, sensitivity to emotion, and problems with memory, time-management, procrastination, follow-through, planning, and organizing can demolish someone’s life. Download the ASRS Screener and ASRS Self Report Scale, created by The World Health Organization. The beauty of doing this is that, as you continue to learn about ADHD, figure out your challenges, and try new strategies, or start a treatment plan, you can re-do the test every few weeks to track your progress! I’m Pretty Sure I Have It – What Do I Do Next? At some point, you do need a qualified expert to confirm whether you have ADHD. If you have any doubt about the value of getting a diagnosis, our Comprehensive Guide explains why a diagnosis is important and how to make the most of the process. And there’s more good advice in our video that explains Three Aspects of a Proper Diagnosis. How do you find a doctor? What do they do? Can I trust them?! What a doctor SHOULD do is give you a full assessment. We talk about what that looks like in the videos here. Finding a doctor who understands how to diagnose ADHD can be a frustrating. Adult ADHD hasn’t been recognized for that long. Until about 1990, doctors assumed kids grew out of it. But 2/3 didn’t. It took some follow-up studies on ‘the Ritalin kids’ from 60’s and 70’s to prove that a lot of ADHD folks were still struggling with the same stuff as adults. Any ADHD diagnosis is a judgment call—there’s no blood test for ADHD. Not yet. It’s not an obvious disorder, unlike a broken arm, asthma attack, or being a Kardashian. Even when you understand the common symptoms, this is a spectrum disorder. Everyone looks different. How to find a good doctor? The kind you see on TV shows? One ADHD specialist suggested finding a doctor who is just starting their practice, as they will have had far more training on ADHD than a family physician who has been at it for 30 years. But again, not always. You’d be amazed at how many people in the TotallyADD community tell us they are taking what they’ve learned at TotallyADD.com, and educating their doctor. Sometimes making them watch our videos, or read our blogs. While you are searching for a doctor to get an accurate diagnosis, you can keep learning more. That’s what is unique about ADHD. If you’re suffering from a broken arm, learning more won’t improve things much. For ADHD, learning more makes a huge difference. With ADHD, you can start to figure out your ‘flavor’ of ADHD and identify your biggest challenges: Sleep? Anger? Your job? Organization? Earning a Degree? Our videos are full of strategies that many people with ADHD use every day. Try these: Mindfulness. Exercise. Coaching. An ADHD coach can help guide you, and we have lots of information about coaching on TotallyADD, including a Directory to help you find a coach who is specifically trained to deal with ADHD. Now You Tell Me?! F%#&!!! Be warned. Getting the diagnosis later in life can be dramatic. And traumatic. The older you are, the longer you’ve struggled, the harder it is to accept there was an explanation for so much of you’re suffering. You’re left wondering, “What would my life have been like if only I knew sooner? !” All I can say is that it’s a pretty universal regret. And there’s no way of knowing the answer. If you’re wondering about the potential of medication, and nearly everyone does at some point, you’ll find answers to pretty much every imaginable question, concern, and fear you have, plus a lot of things you never would have considered, in our biggest video ever! Someone called it, “99 Short Films About ADHD Medication.” It’s amazing. What makes it so comprehensive is that while 30 experts share their knowledge, we’ve also woven in the real stories of 18 adults who tried medication. Their experiences span the range from ‘miraculous’ to ‘made it worse.’ Which proves, as I said earlier, everyone’s issues are different. Finding what works for you can take time. The brain is complex. Plus, everyone’s life situation is different. When it comes to adult ADHD, everyone has a different combination of symptoms and challenges. Some are quiet daydreamers, others are gregarious extroverts. Some folks hyper-focus. My ‘impulsivity and blurting out’ is just great when I’m doing comedy—but not so much when I’m in a business meeting. Or so I’ve been told when I’m taken aside after the meeting. So those are the steps to finding out if you do have ADHD. And, if you discover you do have it, what do you do about it? Two pieces of advice. Second, don’t take on 40 new strategies at once, which is easy to do in the early days when you’re impatient for change, excited that there’s hope, and eager to try every new tool and strategy, because, well, you have ADHD. Our enthusiasm can easily lead to overwhelm. For example, I thought this would be a short, 200 word Blog. Finally, consider subscribing to our newsletter. It’s a quick, handy, update on our latest blogs, videos, and free downloads. I think it’s an ideal way to get smaller amounts of information each week as you’re on this journey. Good luck! P.S. Do let me know in the comments below if this helped you. And if you’ve already been diagnosed, do you have any thoughts to share to help the new members of the tribe? We’d love to make more new blogs & videos, just like this one, more often. We’re going to need your help to do that. Check out what we’re offering too! This is a great website. When I first saw ADHD and Loving It, resonated a lot with me. Since then I have been back here off and on and other places to learn more. I have have made it through a few webinars too. I had not really been able to convince myself to push for a real determination if I have ADD or not. Some aspects seem to apply, others not so much. I realize it is a spectrum. On the self screening tests I score pretty high for the inattentive type. Reading your blog entry on self medicating has stuck a cord with me. As an electrical engineer, the the feeling of running on low voltage totally makes sense to me. I find I do better at work and home with the combination of fast approaching deadlines, loud music, and caffeine (sugar fortified, of course). Looking back this has been true for a long while, back to school days. I know this is not healthy but it usually works and gets me in my groove. I have not been diagnosed with ADD. A couple of years ago while under a lot of stress at work I did talk to my doc about it. I think my coping mechanisms just started to fail. The doc seemed to think it was more the stress of my workload and lack of rest (ie. burn out) and not ADD. After my long project ended (very successfully!) last year I took a summer off and bicycled across the US. It was great and I was able to completely de-stress. I had no trouble getting started each day while on the road. Now that I have been back at work with a lower stress level and manageable load (first time in over a decade) and not feeling burned out I still find myself having real trouble getting stuff done at work. Same for stuff at home. I think the evidence is mounting in my case and I need to see where I stand and get some help. I am tired of always seeming to have to work so hard just to get started and in the groove and then later just to finish. I am tired of running on a low voltage and needing caffeinated beverages just to function. Now I am trying to figure out that next step and trying to overcome the intention gap (something I learned here). Thanks for helping to educate folks like me about ADD and explain things in fun and interesting ways. I can’t imagine anything better than “The Unofficial Test for Adult…” short of going door-to-door. I have forwarded links to most of my favorite cohorts in immaturity. Thanks for forwarding ‘Addeanne’. Every time you circulate something like this you can be it will eventually reach someone who is struggling and suddenly everything changes. Some folks have no idea that there might be a neurodevelopmental challenge that is causing so many challenges. Some do suspect, but are afraid to find out. Some strongly suspect, but the idea of saying, “Yeah, this is me!’ feels like giving in, or admitting they’re damaged, broken, or whatever. I still have days where I think, “Maybe I just need to buckle down and get things done and stop looking for an excuse to make life easier.” Then I realize, not doing what I want to do doesn’t make my life easier. It makes my life miserable. It makes me miserable. It’s disheartening. And Twk6809, I did a bike rally with Ava and a whole bunch of others back in 2005. I was out of shape, didn’t own a bike, and hadn’t ridden in years, when I agreed to take on this ‘622 kms in six days’ charity ride. Everyone else had been training for 6 weeks when I started. But I loved it. The training and the ride itself were amazing. A huge amount of evidence and thousands of people’s experience shows that exercise helps with ADHD. Actually, exercise helps with pretty much every health issue. ADHD is a label. If it’s helpful, use it. Clearly it has lead you to some information that has helped you. One other thought – ADHD is situational. So we may be fine, and relative ‘symptom-free’ when things are going well, but stress overwhelms us and that’s when it becomes a disorder. An active and ongoing challenge to enjoying life. It’s why some people, myself included, take medication when they need it. And don’t bother when they do not. For others, including many friends, medication is a daily necessity. And the smart ones have accepted that’s what they need. Just as my friends who have diabetes have accepted that they need insulin shots. (Though that leads into a whole discussion on managing certain types of diabetes through diet, which is interesting in itself.) (Okay, I’m wandering. Your directing and editing are perfect for this ADDer. I mean in all your Totally ADD stuff. Your transitions crack me up…and keep me engaged. Noticed different takes from the hardware store sequence in different parts of the websites. Made me wonder how many takes it, well, takes to produce the masterpieces you do. 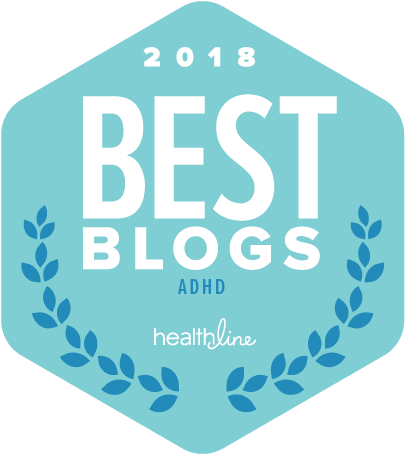 I just read your amazing and enlightening blog about ADHD in women. I’m in my 50s and was just diagnosed last year by someone who claimed expertise in ADHD, but who repeatedly threw up her hands and said she didn’t know what to say to me. So, in hoping to find someone who could help me I ended up here –following the link suggested if I wanted to find a doctor who is experienced in assessing and treating ADHD. There is a lot of great information here, but even after reading it three times, I couldn’t find what I was looking for. Am I looking in the wrong place or am I repeatedly missing it?